Cloud and mobile computing have created an imperative for the tech world: Change or fail. This year, legacy vendors like Dell, EMC and Microsoft all took major steps to reinvent themselves, sparking some of the biggest tech stories of the year. And all around us we've seen portents of big change at the intersection of tech and culture: self-driving cars, wearable technology, the use of drones for fun and profit. That's prompting increased attention on safety, privacy and public policy concerns as consumers and businesses alike figure out how to manage in this pervasively connected world. Here, not necessarily in order of importance, are the IDG News Service's picks for the top 10 tech stories of 2015. The European Commission in April charged Google with abusing its dominant position in Internet search services by favoring its own comparison shopping product, Google Shopping. A decision against Google could include a fine of up to 10 percent of the company's annual revenue. The Commission also opened an antitrust investigation into Android, suspecting Google of abusing its dominant position by, among other things, requiring device manufacturers to bundle Google's own services and applications with the mobile OS. For Google, the cases strike at the heart of how it controls access to services and generates profit. For some Europeans, it's a righteous blow against the hegemony of one of the giants of American technology. Just a year or so ago it seemed Microsoft was sucking its cash cow Windows OS dry while fading into post-PC era irrelevance. But with the launch of Windows 10 for PCs in July, along with subsequent releases for mobile devices, the company got a new lease on life. Microsoft is delivering a truly unified Windows platform on which universal apps can run across a wide variety of devices -- even Xbox and the Windows Holographic system. 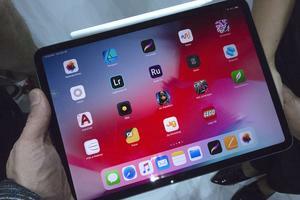 The OS was complemented in October by the well-received Surface Pro 4 tablet and the company's first laptop, the Surface Book, a keyboard-equipped notebook that can twist into a slate or snap apart to serve as a tablet -- a real flagship for the revamped ecosystem. The company can now say it has mobile devices with specs that stack up to any and a unified software platform to run on them. 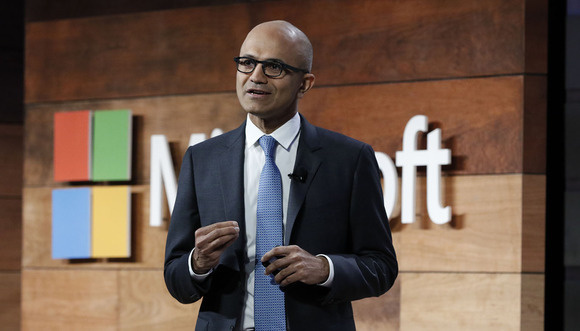 Microsoft CEO Satya Nadella shares Microsoft's enterprise security strategy at a Washington, D.C., event on Nov. 17, 2015. 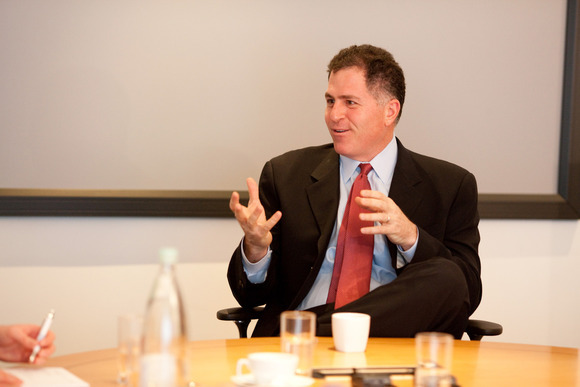 Dell buys EMC: United, will they stand? Dell's planned US$67 billion acquisition of EMC, announced in October, is the biggest tech merger ever, a marriage of aging titans whose dominance has been eroded by the cloud. Dell, together with EMC and its VMware subsidiary, will be able to provide private and hybrid cloud systems as alternatives to Amazon, Microsoft, and Google's public clouds. The deal takes place as digital transformation of business via cloud and mobile technology has vendors scrambling to keep up, pushing IT mergers and acquisitions past the dot-com era record set in 2000. HP's split this year into PC and printer company HP Inc. and software vendor HP Enterprise is another reaction to digital transformation: divestiture as a way for legacy vendors to stay spry. The Court of Justice of the European Union rocked the business world in an October decision that jettisoned the Safe Harbor agreement on which thousands of companies including Google, Facebook, and Apple rely for the transatlantic transfer of personal data. The court said the pact, which allowed companies to transfer personal data from the EU to the U.S. as long as they adhered to so-called Safe Harbor principles, provided inadequate protection for information about EU citizens. The U.S. and the EU are negotiating a new agreement but the case, sparked by a complaint filed by Austrian law student Maximilian Schrems against Facebook, highlights how privacy concerns are changing the rules for how personal data is treated in the cloud. 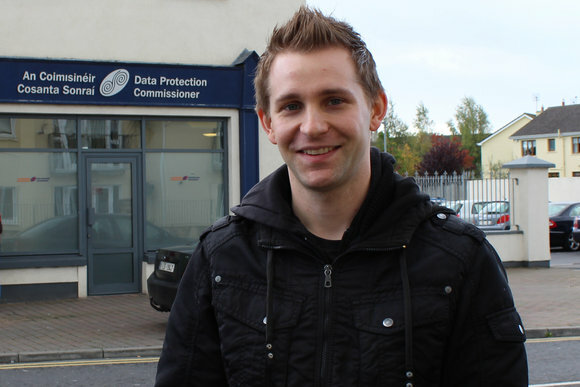 Max Schrems stands in front of the office of the Irish Data Protection Commissioner, where he filed complaints against Facebook. Facing fierce opposition from large service providers and its own Republican members, the U.S. Federal Communications Commission in February voted to approve net neutrality rules reclassifying broadband as a regulated public utility, prohibiting companies from selectively blocking or slowing Web traffic and from offering paid traffic prioritization services. 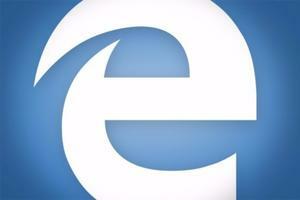 Supporters say the rules keep large providers from acting as Web gatekeepers. But the decision has to withstand a fusillade of lawsuits. 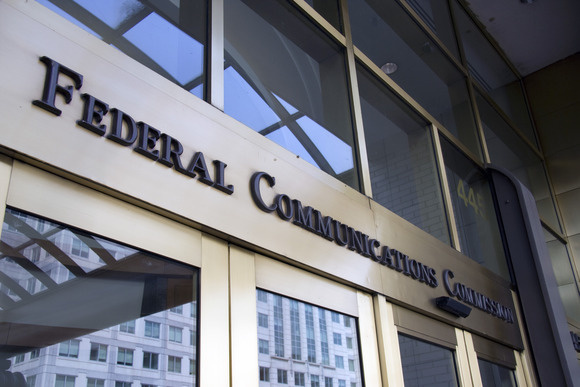 The suits have been combined and though net neutrality proponent are hopeful, there are no assurances: Last year an appeals court overturned net neutrality rules the agency passed in 2010, saying the FCC pegged them to the wrong section of the Telecommunications Act. The Federal Communications Commission's headquarters building in Washington, D.C. The Apple Watch, released in April, was the most anticipated gadget debut of the year and notable as much for what it did not achieve as for what it did do. Apple's entrance into the wearables market has been a success by other companies' standards but its watch has failed to gain the fanatic following that the iPod, iPhone and iPad did. 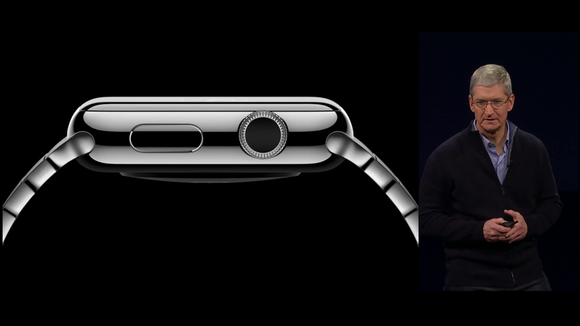 Apple debuted as the number-two wearables vendor worldwide, after Fitbit. But Xiaomi finished the third quarter as a strong contender for the position after Apple posted only a small quarter-to-quarter increase, according to IDC. The watch's price is high and its wide range of features pose a learning curve. However, even though it hasn't had the massive success of Apple's blockbusters, it's spurred competition and brought attention to a product category that will only grow over the next few years. 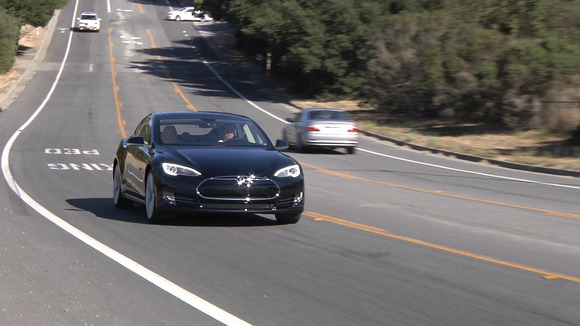 Tesla enables Autopilot: Look Ma - no hands! The most futuristic consumer technology to appear in commercially available products this year slipped in as an over-the-air software upgrade to Tesla Model S sedans: Autopilot functions that let the cars maintain distances from other cars, change lanes and park themselves. Within weeks of the October upgrade, a million cars had the features installed and Tesla rushed to limit some of the controls after drivers posted what CEO Elon Musk called "crazy" videos showing drivers taking their hands off the wheel. While the Teslas are not fully autonomous, they break ground in a market chased by Google and Apple as well as automakers, introducing a technology that will fundamentally change transportation. After reports first surfaced in June about a breach into U.S. Office of Personnel Management systems, the news just kept getting worse. Initial figures were revised and it's now estimated that hackers got away with information including Social Security numbers on 21.5 million people -- almost everyone who underwent a security investigation for a government job through OPM since 2000. The hackers also are likely to have been involved in breaches of systems of at least 10 other companies including United Airlines and the insurer Anthem. One politician said the hack was a far more serious blow to national security than the 9/11 attacks. The Chinese government, accused of complicity, has denied involvement, but the fiasco points to poor security practices that continue to blow holes into the most sensitive systems. 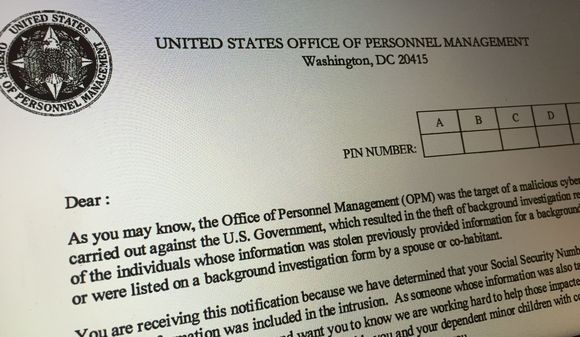 One of the Office of Personnel Management letters sent to victims of its giant 2015 hack. 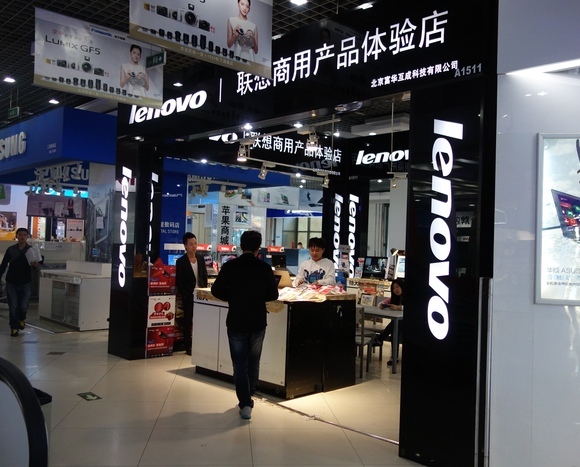 Lenovo incited the wrath of users around the world in February when they discovered that the company had pre-installed adware on PCs it sold in order to inject advertisements into browsers. It turns out that the software, Superfish Visual Discovery, installed a self-generated root certificate into the Windows certificate store that could enable so-called man-in-the-middle traffic interception attacks against any user that has the application installed. This could help hackers to steal sensitive data like banking credentials. While Lenovo gets the prize for wrong-headed PC maker move of the year, Dell was a runner up: In November it was discovered the manufacturer had been preloading systems with a management package including a self-signed root digital certificate that lets attackers spy on traffic to any secure website. While the vendors say their intentions were to be helpful, their actions highlight the real dangers of "bloatware." Government to citizens: Register those drones! Drones have interfered with California wildfire operations, buzzed uncomfortably close to airports and airplanes, carried contraband into a prison yard and crashed a U.S. Open tennis tournament. And this holiday season they are forecast to be a hot item on gift lists, with total units sold in the US numbering in the hundreds of thousands. Faced with the potential problems that come with the growing popularity of unmanned aircraft, the Federal Aviation Administration announced in October that it would require consumers to register drones. While the FAA had already started loosening restrictions on the commercial use of drones , the registration rules for consumers are the clearest sign yet that the unmanned aircraft are hitting prime time. 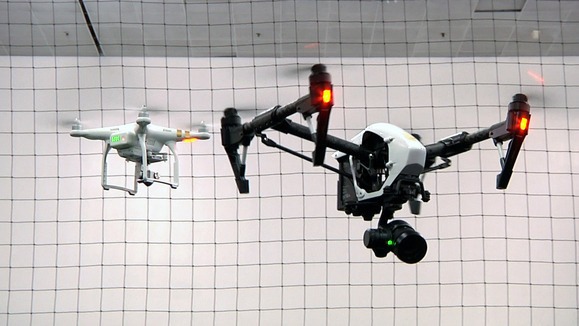 Drones fly during a demonstration at the Drone World Expo in San Jose, California, on Nov. 17, 2015.